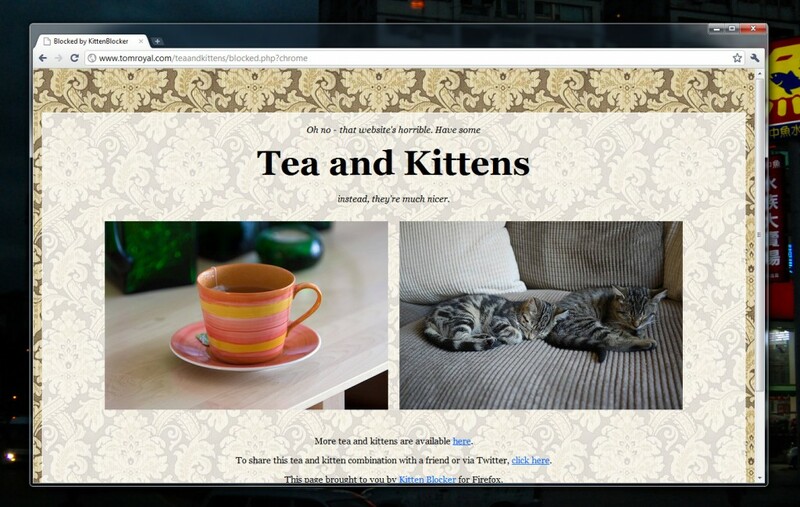 Kitten Block for Firefox now has over 1,000 users and has been verified by Mozilla, but I’ve also had dozens of requests for a version that works with the Chrome browser. So, er, I made one. You can get it here. As with the Firefox version, it’s very simple: no options, just simple kitten-based blocking. Enjoy!